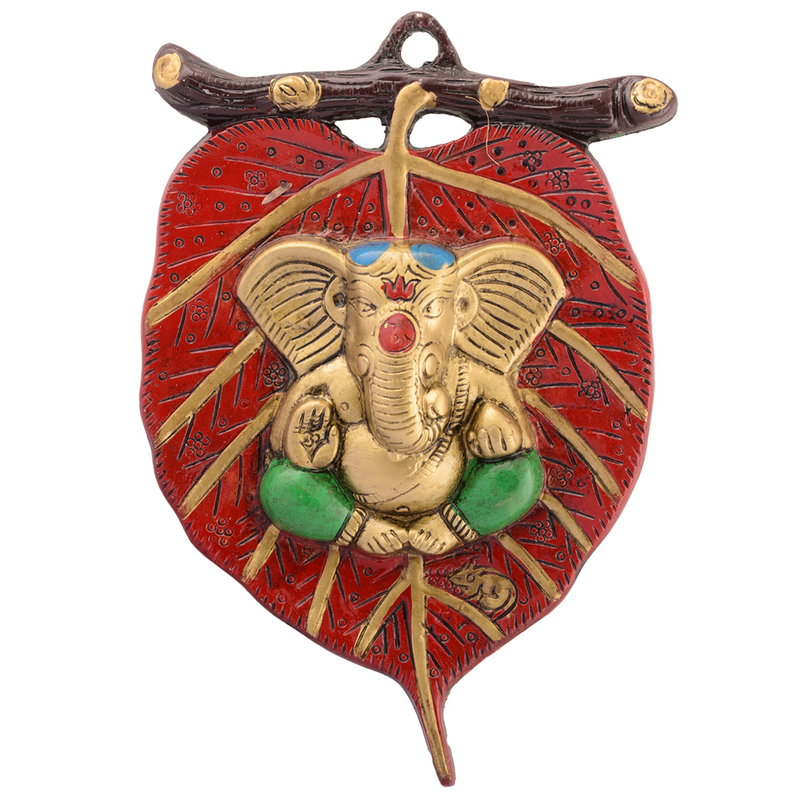 Lord Ganesha in Green Dhoti on the red leaf is not only a symbol of grace and divinity but, wealth, wisdom and happiness as well. 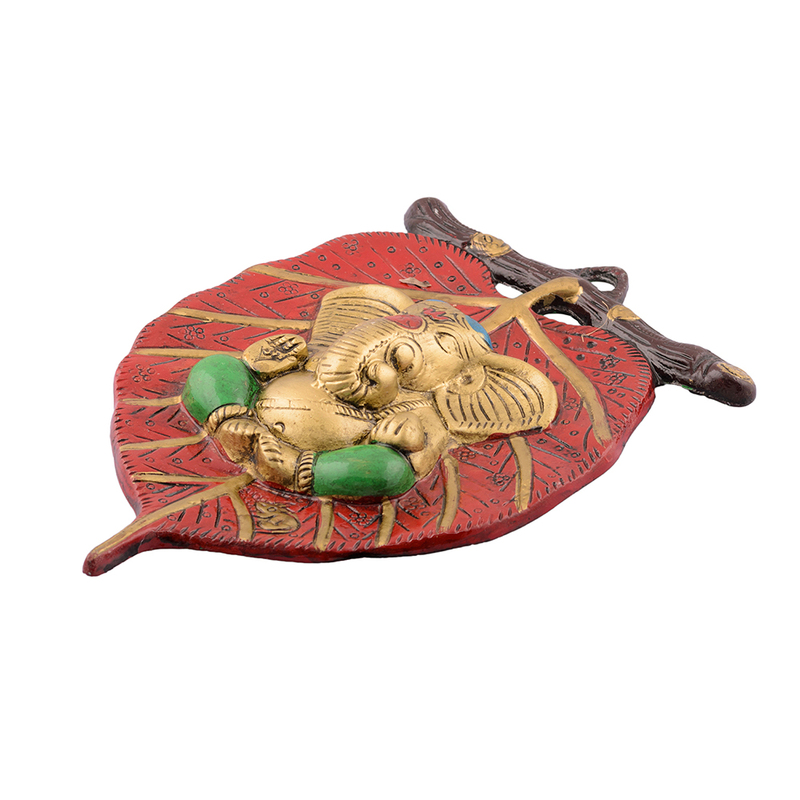 Read More..Made by style and precision, this wall hanging can be decorated in home as well as in office. 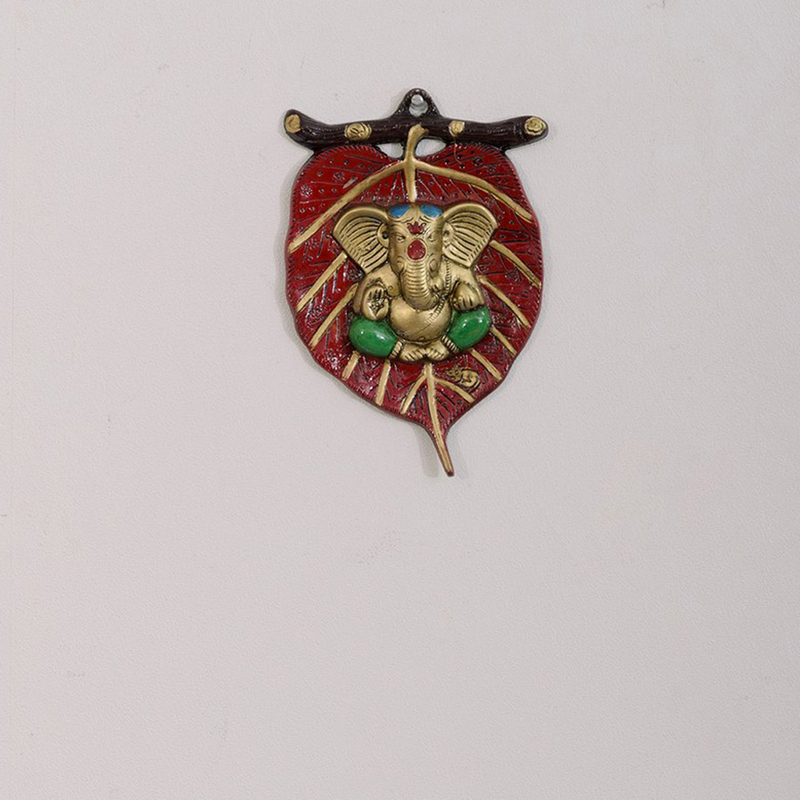 Made with bright and vibrant hues, the golden painted Ganesha would surely turn heads around. 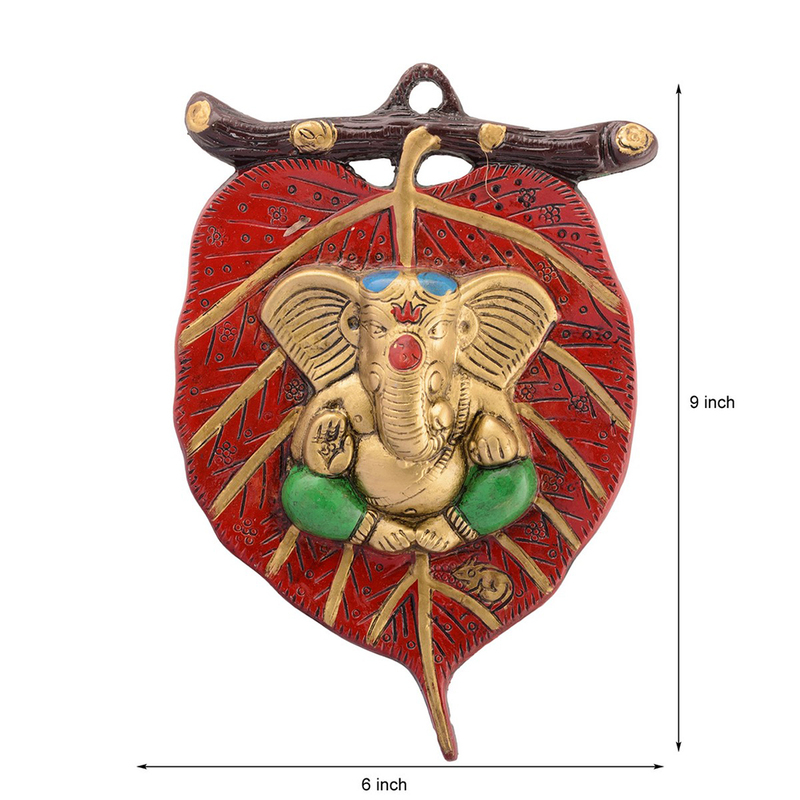 This can also be gifted to friends and family during any occasion. Various techniques have gone into making this masterpiece with style as well as efficacy. Show Less..